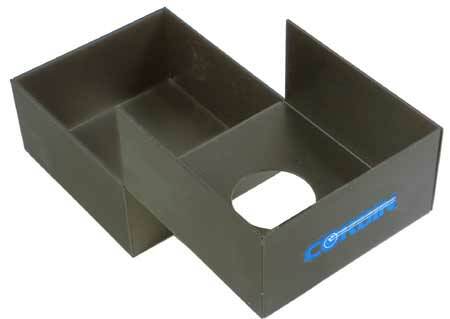 Corbin Manufacturing (PO Box 2659, White City, OR 97503 USA) is now offering an optional CHP-T Catcher Tray to keep extruded lead bits and spent primers from falling randomly onto the press top or floor, and to keep them out of the ram slot and other places they shouldn't go! 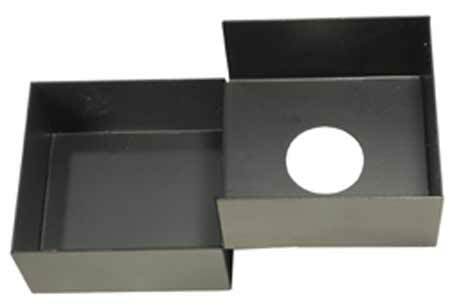 The powder-coated, .036-inch thick steel two-section catcher collects the bits of lead that are extruded from the core swage die, or the lead semi-wadcutter die, as well as fired primers that roll out of the primer port on Corbin's reloading adapter, or 50 BMG priming tool. For details on the accessory, see CHP-T. Prices are found on the PRICE LIST.